DESCRIPTION: Many today believe hell is a "skeleton in God's closet," a tough topic that, if looked at closely, would reveal a cruel, vindictive tyrant rather than a good and loving God. And we aren't comfortable with the answers we've been given. Portland pastor and author Joshua Ryan Butler stops by to pull these bones out into the open to exchange popular caricatures for the beauty and power of the real thing. We'll discover that hell was never really a skeleton at all but a proclamation of a God who is good "in his very bones," not just in what he does, but in who he is. And we’ll find - by studying the Biblical picture of hell - that God is good and coming to redeem his world. DESCRIPTION: In Part 1 of our set of talks on Hell, we delved into the caricatures of hell that exist in popular culture, and showed how the Biblical narrative gives a much different and much more full picture of what hell is. In part 2 of our examination of the topic of hell, we examine the terrible necessity of hell. Because of the gift of free will, humans have the chance to reject God, and hell becomes a symmetrical necessity because of free will and God’s character (which is incompatible with sin). Lead pastor Steve Clifford dives head-first into a topic that is heart-breaking for many, including apparently God Himself. Is God a sadistic torturer? Coldhearted judge? Genocidal maniac? Unfortunately, our popular caricatures often make him out to be. There are some questions no Christian wants to be asked. 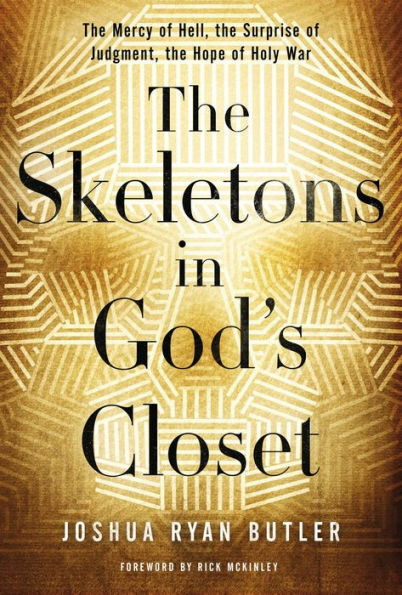 Many today believe hell, judgment and holy war are "skeletons in God's closet," tough topics that, if looked at closely, would reveal a cruel, vindictive tyrant rather than a good and loving God. And we aren't comfortable with the answers we've been given. "Isn't it arrogant to believe Jesus is the only way to God?" "Why is there so much violence in the Old Testament?" God is good and coming to redeem his world.